Say cheers to a festive, healthy holiday and distribute the Paper Christmas Tree Red Drink Ticket at your seasonal soiree. 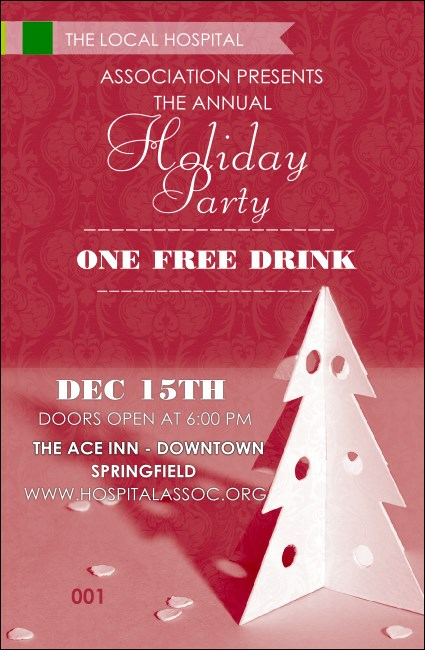 A deep red background holds a paper Christmas tree on this design, with clear white text for event details. Bring your holidays together with posters and flyers in a Matching Event Kit.